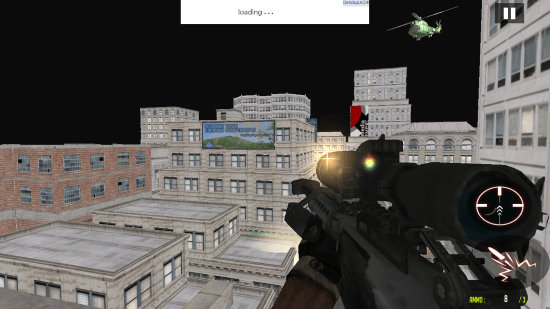 US Phantom Of Borders is a free shooting Game For Windows 8 and 8.1 computers. 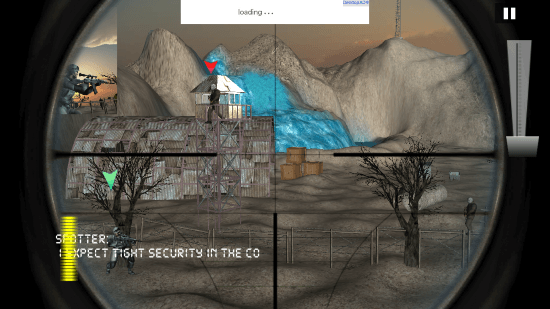 Developed by UK Art Games, this shooting game for Windows 8 lets you go on a new adventure, to carry out near to impossible missions. You are given missions near high security borders. Your partner is carrying out high risk operation, and you have to save him by eliminating high value targets with your sniper. Listen to the command on the radio, and execute the mission neatly. To install this shooting game for Windows 8, go to the Windows App Store and search for this game in the search box by its name. Follow the download link at the end of this article to skip searching. Click Install, it will automatically download and install the game on your computer. With a size of 48.3 MB, this shooting game for Windows 8 hardly consumes any space. This thrilling shooting game for Windows 8 is different from other games. It has a diverse set of missions to choose from. A mission starts with a debriefing of the task to be carried out. Pay attention to the mission carefully, and execute your mission. 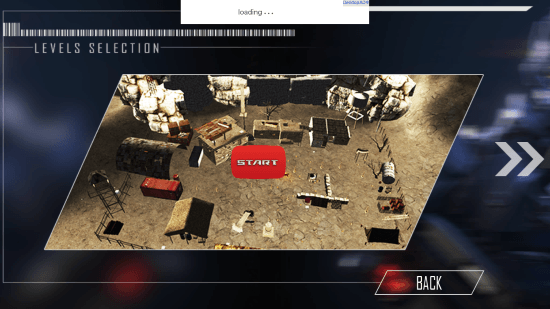 Click on Play on the home screen of the game to enter the game. There are numerous levels in this game. Select a level and begin playing. Listen to the challenging objectives, and eliminate your enemies one by one. The enemy soldiers are placed very far, but worry not. You are provided a high caliber sniper rifle. Aim and shoot to kill. Your partner’s life depends on you. He will be passing through a highly secured location, all you have to do is cover him, and eliminate his obstacles. The soldier with Green pointer upon him is a friend, the soldier with Red pointer is your enemy, and you have to kill them as soon as possible. 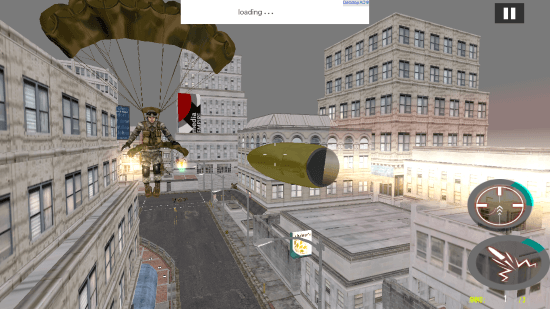 One of the missions lets you shoot down the enemy para gliders who are trying to intrude your area. You loose as soon as one of them makes landing successfully. Do you have the determination to clear all the levels, kill enemies, and have excellent shooting skills? If yes, then this shooting game for Windows 8 is a must have. This challenging shooting game for Windows 8 is a must download, as it has extremely tough objectives to achieve, and the gameplay is fantastic. The HD graphics is fantastic, so is the sound effect. 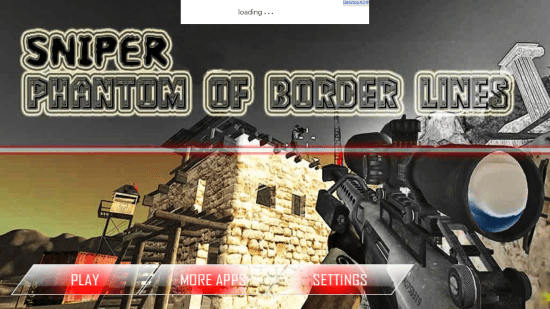 Download US Phantom Of Borders for Windows 8 and 8.1 computers today.